Murano glass articles are valued globally, as much for its iconic value as for its excellent features and expert craftsmanship. 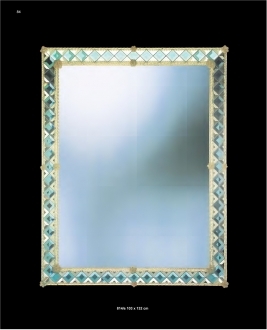 The Murano glass artisans create a variety of products. 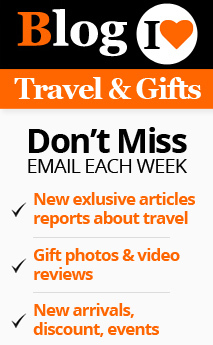 They include chandeliers, sculptures, jewelry, goblets and vases. They find a supreme place in the collections of hobbyists all over the world. If you own some of these fabulous glass articles, it is vital that you know how to take care of them and clean them periodically to preserve their original brilliance. The Venetian artisans produced fabulous chandeliers and exported them to other countries from 10th century onwards. When the glass blowing industry got shifted to the island of Murano, it acquired newer dimensions and began to expand. 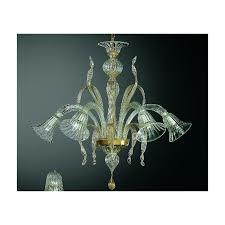 The chandeliers produced by the Murano artisans were incredibly elaborate and perfect in minute details. 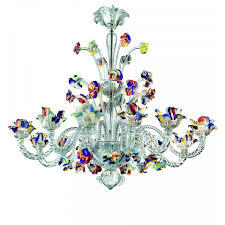 If you own a Murano glass chandelier, you know how elaborate they are. The delica tely formed and dangled pieces are magnificent in every detail. When you attempt cleaning it, you will have to be careful not to cause the pieces rub against each other. This may cause scratches on the pieces and the optical clarity will be compromised. If the chandeliers are too big, it is better to take professional help. But if it is of a manageable size, you can do it yourself by a careful step by step procedure. The chandeliers should be cleaned without rotating them while hanging, as it may cause the dangling glass decorations to rub against one another and produce scratches. The person who is cleaning it should move around it using a ladder. It is better to clean the chandelier when it is really cool. After being lit for a long time the bulbs and other components may be hot. Make sure that the electricity is completely cut off. It is better to turn off the fuse box or remove the relevant fuse. Remove all the bulbs carefully. Clean the bulbs using a dry or slightly dampened lint-free cloth. This will restore the radiance of the bulbs. Now check if there are detachable components. If there are, detach them carefully and wipe them with dampened lint-free cloth. If they are really dirty, you can wash them using a weak detergent or special cleaning liquid recommended by the dealer. Using strong chemicals will destroy the delicate texture of the Murano glass. Use lukewarm water. Hard water and tap water should be avoided because chlorine will have an adverse effect on the Murano glass. Avoid putting too many pieces together in water, so that there is a possibility of them rubbing each other. After washing the glass components, dry them using dry microfiber cloth. Make sure that all traces of the soap or cleaning solution are removed from the pieces. This is to avoid staining or discoloration. After all the parts and the bulbs are completely dry, reassemble them. 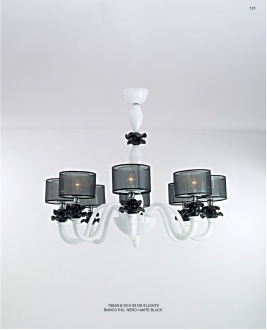 It is better to give the chandelier enough time to dry completely before lighting it again. 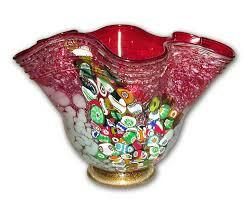 The vases must be cleaned using light detergent or special cleaning liquid recommended by the dealer. Strong detergents and abrasives should be avoided. Avoid hard water and tap water. Luke warm water is most suitable for washing Murano glass vases. If the vases have become cloudy by calcium deposits, pour white vinegar in it and keep it overnight. You can wash it using regular soap and water in the morning. After washing them, dry them with dry microfiber c loth or lint-free cloth. 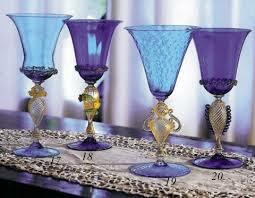 While cleaning Murano glass goblets you have to be extra careful, as these are very delicate and fragile. It is better to wash them one by one. Dish washer cleaning is not recommended for Murano glass objects. After washing, dry them with lint-free cloth before storing. All traces of the cleaning liquid must be taken off. 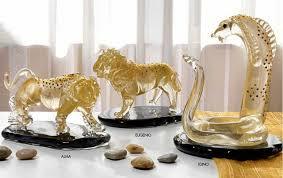 The Murano glass sculptures are rather easy to handle as they are sturdier than the other Murano glass objects. All the same, care should be taken against accidental dropping. After washing with light soap or cleaning liquid, dry them completely to take off any remaining traces of the soap. The glass beads should be cleaned with damp lint-free cloth. Avoid soaking the whole piece in water or cleaning liquid as the metal parts, if any, may get damaged. 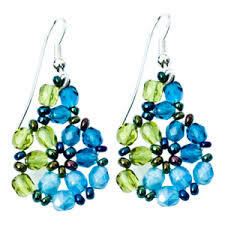 Wear your Murano glass jewelry only after using the deo-spray or perfume spray. Do not let these spays fall directly on the jewelry, as it may cause discoloration. Wrap each piece in separate soft cloth and store them in their original packing in their relevant slots. 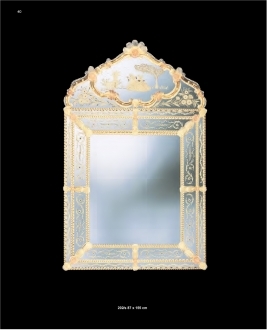 Knowing how to take care of your precious Murano glass treasures will help you to enjoy the perfect beauty of these invaluable glass objects for a long time. Height: 132 cm" Length: 103 cm"